Perhaps you’ve noticed some buzz in the forums about a new challenge, not a 30-day challenge, which is the most common format we see, but rather a 60-day challenge. This is a repeat of an effort launched by sunforged (interviewed for the HubPages blog last year) and is a great example of the cool initiatives hubbers independently launch on HubPages. HP: How did you first hear about the 60 Day Challenge? ES: I heard of the 60 Day Challenge from the forum post made by Sunforged on Hubpages. What did you initially expect from it? Honestly, when I first joined I didn’t knew really what to expect. I looked at few experienced hubbers hublog and then made my goals for the 60 day challenge. And through collaborative efforts I achieved most of those. What makes the 60 Day Challenge different from other HubPages challenges? This 60-day HubChallenge is more aggressive approach to writing hubs and following up with the proper promotion of them to optimize results. You will be strongly encouraged by your fellow hubbers to stick with it because it will benefit the entire group. The 30 Day HubChallenge is like going to the gym a couple days a week where this 60 Day Challenge is like having a team with a personal trainer 7 days a week. What was the hardest part of the challenge for you? The hardest part for me was to complete my 30 hubs in 30 days. I really ran out of ideas but Sunforged’s tutorial hub really helped to overcome it. What was the challenge’s greatest reward? The challenge’s greatest reward would undoubtedly be the knowledge I gained from it. I also, got to interact closely with a team of talented and quality writers. They all have helped me at every step, showing me what to write, how to write, layout, keyword research, promotion, SEO and what not. In fact, even if I hadn’t earned a penny I would have still considered the challenge successful. What kind of impact did the 60 Day Challenge have on your affiliate earnings? The 60 day Challenge have reinforced the belief in me that I can make a living online and can make a living online at hubpages alone. Before the challenge I hardly used to see $3 a day in adsense, but now I am averaging $3-$4. The major impact of this challenge was on my Amazon affiliate earnings. In my first six months at hubpages, I never sold an item on Amazon but after the challenge, in the last 1 and a half months I have sold items worth $594 and earned $31.75 in commission. This challenge has made Amazon my first love. Do you plan on doing the challenge again? What would be the benefit of doing so? I absolutely would do this challenge again. This time the benefit would be tremendous as I would not be repeating the mistakes as I made in the first challenge. Also, I will be using the knowledge I have gained from the first challenge. I am expecting atleast a 300% increase in my performance as compared to the first challenge. Infact, if everything goes as planned, it will help me realize my dream of earning online. Looking forward to it. If you’re curious to read more about the 60 Day Challenge, check out our Learning Center entry on Hub Challenges. While there is another 60 Day Challenge coming up soon, its space is limited, so chances are it’s already full! That said, there is nothing to stop you from following sunforged’s guidelines, getting your own group together, and doing the Challenge yourself! As sunforged proves, it is perfectly possible to take something on HubPages (the Hub Challenge), customize it, rally some friends, and create something truly amazing. This guest post was written by Nelle Hoxie who has become one of the most prolific eBay Hubbers that HubPages has ever seen. This is a post that I asked her to write based upon what she’s learned after publishing 33 eBay-focused Hubs over the a span of 30 days and generating $95.02 in earnings as a result. Nelle is the real deal and if you would like to catch up with her you can currently find her neck-deep in the November Hub Challenge. This was my first serious month of promoting Ebay – prior to this I just stuck an Ebay capsule on the end of my 200 Amazon hubs. The result was that I made about $10 each month. Actively promoting Ebay this month, I made $95.02 on 33 Ebay hubs. Ebay also made substantial changes to its program this month, it is now a pay-per-click program instead of paying a commission (which is known as Quality Click Pricing). The first thing you have to learn is that what you’re paid per click will be determined by the value of the traffic that you send to Ebay. Of course the traffic has to convert and lead to a sale, but that sale will have more value in Ebay’s eyes, if it is from someone who has never shopped on Ebay before. And while the Ebay has a 7-day cookie, a sale that results in the beginning of the cookie will be valued more than a sale that occurs at the end of the 7-day period. That’s why several of us requested that Hubpages include a way for us to focus on Buy It Now products which the visitor would buy immediately. Auctions can take several days to complete so those may be valued less under the new system – although Ebay has stated that they take that into consideration when valuing the click. To compensate for this I looked for Ebay sellers that focus on Buy It Now items. Hubpages’ Ebay capsule does allow you to limit items to particular sellers. So whenever possible I focused on Buy It Now Items, by looking for sellers who had them in the niche I was looking for. You also have to be aware of what an Ebay Campaign is – because each campaign gets its own click value each day. If you create too small a campaign you get pooled in with other small campaigns and you lose the control over your click value. A campaign is a way for you to track the efficiency of your marketing, similar to channels in AdSense, but make the campaign too small and you might be in trouble. I highly suggest that if you’re going to start promoting Ebay, (or if you want to get accepted into the program) that you very carefully read their blog, general instructions, TOS, and anything else they write. Because the changes were so recent, it is still quite confusing in places. To protect your Ebay account, it is important that you start to make sales and become a productive affiliate. Ebay gave an important hint to what they considered a good affiliate when they wrote the following statement on how to optimize for their Quality Pricing Click. They are really looking for sites that have lots of organic shopper traffic, who haven’t been to Ebay before, and who sell targeted products. That was my basic strategy to create hubs that would be positioned for an immediate traffic burst and to target lots of products. Of the 33 hubs, about 7 were responsible for 80% of the sales and sales weren’t based on age of Hub. Those hubs were no better or worse than the others – and all were in the same targeted niche. That’s why I truly believe in writing a lot of hubs – regardless of the program. Most of my hubs were indexed by Google and Yahoo within 24 hours and started making sales within a few days. I never optimize for Google Adsense so I don’t worry about the value of a Google click when I choose my niche or products. I look for lots and lots of existing traffic, and I scour the shopping malls and shopping channels looking for hot new items and trends. I also subscribe to 3 different keyword tools. So enough of this chatter, thanks for having me Ryan, back to my HubChallenge Hubs – and the Greenbay / Vikings game. 1. Hey Karen! 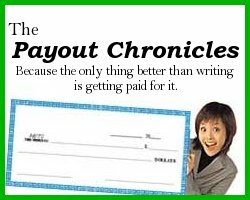 I’m so excited to interview you for the Payout Chronicles and thanks for taking the time to answer a few of my questions about how you have become such a successful Hubber over the past year. I guess that my first question would be, how exactly did you find HubPages and what made you initially stick around? Thank you so much, Ryan! I love telling my hub story! I have been working on a book for several years and have had trouble figuring out how to pull all the chapters together into a cohesive book. This lead me to a creative writing course at a local junior college. I expressed this issue to my instructor and she suggested that I consider writing articles instead. I conducted a search online for sites that allow you to do that. That’s how I found HubPages. I signed up and began posting articles even before my six weeks class was up. What made me stay initially? The user-friendly system, the flexibility it afforded me, and the feedback from the nicest people in the world. 2. OK, so I have heard a rumor that it took you 10 months to reach your first $100 payout from AdSense? Why do you think that it took you such a long time to get the money flowing in during those first 10 months? Did you ever get frustrated and feel like giving up? That is true, Ryan, it did take me 10 months to reach that first AdSense payout. I think, for me, it took awhile to find my voice and figure out what people like to read about. Without research and dedication to improvement, I don’t think anyone can just hit the ground knowing that stuff. Giving up has NEVER been a consideration. Everytime I didn’t make a payout, it made me more determined to figure out how I could. 3. Also, I have heard another rumor that it has only taken you 2 months to reach your second $100 AdSense payout? Please pardon me if I seem a little surprised, but how did you end up pulling that off? Give us your secrets! That rumor is also true. My second payout is higher than the first and it only took me 2 months instead of 10. My secret weapon is the HubChallenge. The HubChallenge is what has made all the difference for me. I have participated in three 30 day challenges since May. You have to research and write consistently in order to improve your skills, get to know your audience, and get into a groove that allows your creativity to flow. 4. You are an official member of the 30 Hubs in 30 Days HubChallenge Team, which is pretty sweet, what types of advice, encouragement or thoughts do you have on Hubbers, both new and old, about joining the HubChallenge? Would it be worth their time and what will they get out of it? It is such an honor for me to be an official team member of the HubChallenge Team. 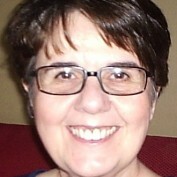 I am extremely passionate about the HubChallenge and what it can do. Like I said, I owe my success to participating in the challenges. I encourage all hubbers to try it, push yourselves to do it. It is so worth it. You will learn so much about yourself, your fans, your writing, and the monetary rewards make it all that much more sweeter. 5. I feel that one of the things that you did really well was consistently writing quality and original Hubs and once you decided that you were going to write a certain amount of Hubs in a month you actually stuck with it, which is pretty awesome. Any general tips that you would like to offer up to any of the thousands of Hubbers that are out there who might be wondering how they can be successful like you? I think so many get discouraged because they can’t imagine coming up with 30 topics. People really sell themselves short. You know more about things than you think. Even if you don’t, research it. Learn about it. Share what you learned. The best advice I can give is to sit down periodically and brainstorm topics. Think about the things that interest you, that you know a bit about, or that you’d like to know more about. I actually create the hubs and begin researching keywords relating to those topics. That way I always have about a dozen hubs I can work on anytime I sit down at my computer. I never ever ever have writers block. I always have something interesting to research or write about. Once you’re in that groove inspiration pops up all around you. I think the newer writers are sometimes intimidated by the scoring system and consider some people as unapproachable. Don’t get too wrapped up in the scoring. I think that most everyone on this site is willing to help someone else if they can. My advice is don’t be afraid to ask. Click on the “email” button and shoot them an email if you have a question. We’ve all been where you are and we’d love to help you get where we are. Thanks again to KCC Big Country for all of the awesome info and if you’d like to keep up with her latest and greatest Hubs be sure to become her fan now! If you haven’t noticed yet, about a month and a half ago we launched an ongoing 30 Hubs in 30 Days HubChallenge over in the Forums so that the success that many Hubbers found after joining the first (and much more intense) 100 Hubs in 30 Days HubChallenge could be made available to all Hubbers. So far there have already been several Hubbers who have stuck it out for the entire 30 days and have not only come away with 30 brand-spankin’ new Hubs, but have also learned a ton of stuff in the process. Not to mention now that they’re done they have seen incredible gains in traffic, which is never a bad thing. 1. 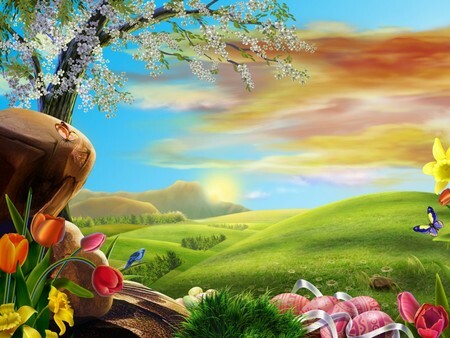 How did you first find HubPages and what do you think of the HubPages community so far? I followed a link about bunnies, since I own a bunny rabbit. HubPages is a very lively community. It is also very user-friendly and easy to create articles. I really like it! 2. Why did you decide to join the 30 Hubs in 30 Days HubChallenge and was it a hard decision to make? I decided to accept the 30 Hubs in 30 Days challenge because I saw it as a learning experience, and to see if I could do it. I love writing anyway, so it was fun. No, it was not a hard decision to make. 3. What kept you motivated during the 30 days that you were publishing Hubs for the HubChallenge and how did you make it through to the end? I was motivated by the threads in the 30 Hubs In 30 Days Challenge forum. It was gratifying to be able to add another hub onto the ‘finished’ pile, which is also what helped me make it through to the end. 4. You said that joining the 30 Hubs in 30 Days HubChallenge busted you out of the terrible writer’s black that you had at the time. Can you explain this a little more and how the HubChallenge helped? I had just about given up on my endeavour to write articles, hubs or blogs with advertisements on them. I was at wordpress before but they didn’t allow ads. I tried doing it at blogger.com but there was no traffic. This was discouraging and caused me to be a little depressed, so I stopped creative writing and focused on my regular freelance writing. When I joined HubPages, I was immediately struck by the size of its member base, and how alive and kicking the site is. As I started writing hubs, it was fun to see it take shape as I assembled each capsule. Participating in the 30 Hubs in 30 Days challenge forced me to write, and as I wrote, my thoughts started flying about and ideas started formulating in my mind and from each new idea, new ones sprang forth. It is akin to pulling a bunch of weeds from a flower garden. 5. What other results (such as traffic, earnings, fans, etc.) have you seen now that you’ve finished up with the HubChallenge? I have noticed more traffic and not earnings so much but I know that takes time. I have also noticed more fans trickling in. Not being one to solicit fans, it feels nice and it is surprising to see people interested in my hubs, which tells me that is a direct result of participating in the challenge. 6. Would you recommend that other Hubbers join the 30 Hubs in 30 Days HubChallenge? Why or why not? Absolutely. It has had a positive impact on not only my hubs, but on my writing and creativity. 7. Any other comments that you would like to say? Let us have it! Thanks to cosette for the awesome interview and if you’re looking for a way to get the most out of HubPages, be sure to join the new 30 Hubs in 30 Days HubChallenge now (it’ll be worth it, we promise). I was looking around in the 30 Hubs in 30 Days HubChallengers forum today answering some questions and what-not when I took a look a one of the Hubs that was posted in the HubChallenge links thread (which is where you should be posting all of your HubChallenge links once you get them published). The Hub is called College Freshman: Preparing to Move On Campus and was published by a Hubber named Jane@CM. The Hub from a content perspective is amazing. It has really informative content, it’s laid out well and it’s got some really good meat to it, so as far as my standards go, this Hub passed all of my tests for being of high quality (which is what they all should be, right?). Well, although the content looks great, I had a few suspicions about the title and whether or not it has been given the full HubPages potential that it deserves. After looking at the keyword opportunity for the topic that Jane write this particular on I would have to say that I was right in second-guessing it. After doing about 5 minutes of keyword research I found another great keyword that Jane should probably add into the title and into the Hub if she wants to max out this Hub to it’s full potential. To show how I came to this conclusion, I created another video so that you can all see exactly what I’m talking about (I promise I’m not crazy). Check out the video below or over here on YouTube when you get a chance and let me know what you think…and to all of you HubChallengers out there — keep it up! UPDATE: Paul Deeds just sent me over a great blog post that was written by Matt Cutts, the man when it comes to Google’s accepted search practices. It’s called SEO Advice: Writing useful articles that readers will love and it talks about some of the same things that I mention in the video, although I take it a step further and add in some information about how you can determine what your potential earnings might be as well. The New, Ongoing 30 Hubs In 30 Days HubChallenge — Wanna Join? I’m not sure if you ever caught wind of a little somethin’ somethin’ we called the 100 Hubs in 30 Days Challenge that launched a couple of months ago in May, but it was absolute and complete madness and you can get the details of how it came about over here in this blog post and you can see how quickly it blew up into something huge over here in the forums. All in all, there were nearly 5,000 HubChallenge Hubs created during the 30 day it was going on and although several Hubbers seemed to get burnt out (100 Hubs is a lot), there were still many Hubbers that stuck through the whole thing and as a result ended up seeing some major boosts in their traffic, earnings and overall HubPages know-how. There is no official beginning and end to this HubChallenge, meaning that Hubbers can kick off their own 30 Hubs in 30 Days HubChallenge whenever they feel like it. There is a new forum that was created specifically for the new 30 Hubs in 30 Day HubChallengers, which will allow for every Hubbers that is taking on the HubChallenge (no matter the day they started) to help each other out, to ask questions and to have much more fun while doing it. We have an amazing HubChallenge Team that is on call to help any Hubber along the 30 days of their own, personal HubChallenge. If you have a question or need some motivation to keep pushing through, this team will be there to help you out. The team is made up of darkside (the official ring leader and Australian sensation), Waynet, Julie-Ann Amos, Trekkiemelissa, KCC Big Country and of course I’m all up in the mix, too. If you would like to join up and take on the latest and greatest HubPages challenge, head on over here and get all of the details on how to get started now! If you haven’t noticed yet, we have created a new forum called The 30 Hubs in 30 Days HubChallengers that is going to be a place for Hubbers to take the new, ongoing 30 Hubs in 30 Days HubChallenge. you may remember the 100 Hubs in 30 Days HubChallenge that we all went crazy with back in May that resulted in several Hubbers (that stuck it out) seeing some major boosts in HubPages know-how, traffic and of course, earnings. You can read about a few of them over here in a recent forum post. Well, in the first post that I added into the new HubChallenge forum I let everyone know that the first official 30 day challenge doesn’t start until this Friday, July 24th. This is because I wanted to take a few days to help prep some of the soon-to-be HubChallengers on some tips that I have learned during my HubPages journey. The first tip that I decided to cover was How to find a FANTASTIC Hub topic and you can view the video below or over here on YouTube (where you can watch it full screen). The Hub Challenge: 100 Hubs In 30 Days — are you in? Yesterday as I was aimlessly wandering about on the web, I found an interesting blog post that was written up by a guy names Court over on a site called The Keyword Academy. It was titled New Make Money Experiment – 100 Hubs In 30 Days and it talked about how Court has suddenly realized that HubPages was a legit place to earn some money by writing (duh!) and how he was going to attempt to write 100 Hubs in the next 30 days so that he could see what the true potential was. Well, me being the overly ambitious guy that I am, commented on his blog and challenged him to see who could produce more earnings by writing 100 Hubs in 30 days, him or me. Since that comment Court and I have emailed a few time back and forth and now it’s turned out to an even bigger thing than we ever expected. From the looks of it, tons of people that read his blog are joining in the challenge and after posting some information about the challenge here in the HubPages forums, it looks like some Hubbers are up for it, too (some at 30 in 30 days, some at 100 in 30 days). 1. If you Tweet info about your progress with the Hub Challenge could you please use the #HubChallenge hashtag after each of your tweets so that we can keep an eye on what everyone’s up to and how their challenge is going. Also, you can follow HubPages on Twitter here for overall challenge updates: Twitter.com/HubPagesDOTcom. 2. 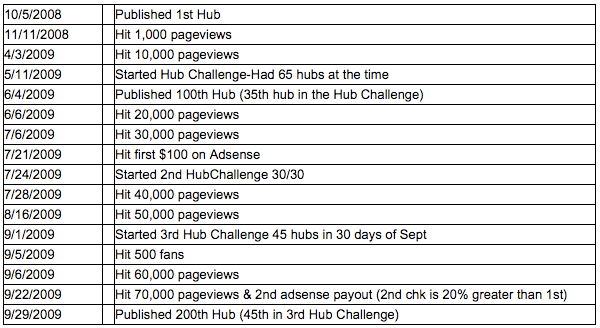 Once you start writing your Hubs, please add a ‘HubChallenge’ tag to any Hub that you’re writing for your 30 Day Hub Challenge so that we can do some cool reporting and analysis on the Hubs that we’re all writing during our 30 days.